DECENT: open dialogue to act more effectively against functional illiteracy! How to act more effectively against functional illiteracy and to reduce the risk of social exclusion of low qualified adults? 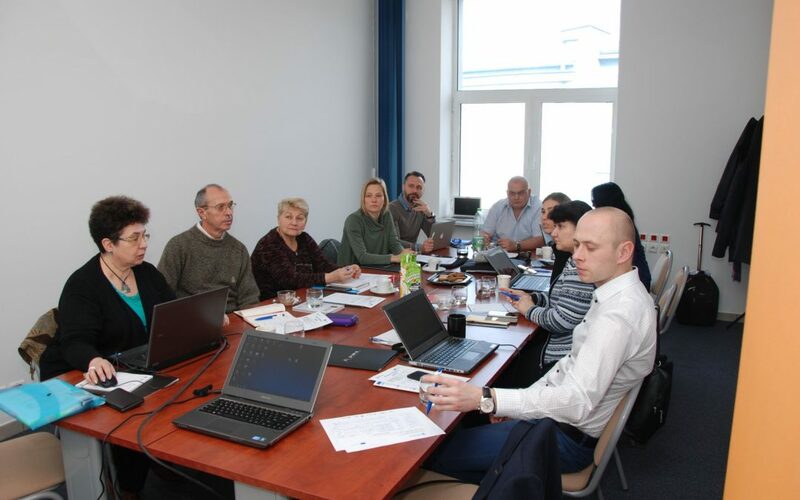 On the 20th and 21st February, partners from DECENT project met in Rzeszow (Poland) at Stowarzyszenie Centrum Wspierania Edukacji I Przedsiebiorczosci (CWEP) to discuss about the next project steps. The meeting was characterized by an open dialogue and a really enriching exchange of ideas in order to reach the next implementation phase of the project. It will consist in reaching the adults with a questionnaire in order to have a clear picture of the functional illiterate levels in Poland, Bulgaria, Rumania, Spain and Italy. Important aspects are also coming out through discussion, like the need to increase awareness on low qualified adults and sensitize both civil society and governmental bodies. We will meet again in Sofia (Bulgaria) to analyze the results of the second questionnaire and to start developing the Decent life without illiteracy course. DECENT – Digital strategies of Enhancement of the basic skills among adults as a ChancE to fight agaiNst functional illiteracy aims at increasing the effectiveness of the fight against the functional illiteracy among low qualified adults who are at risk of social exclusion in Romania, Poland, Bulgaria, Cyprus, Spain and Italy. The project has a duration of 24 months and is funded by Erasmus+, KA2 Strategic Partnerships for adult education. You can check the latest news of the project on our Facebook and deepen your knowledge on the project by checking our DECENT webpage. For more information, please contact marta.orozco@danilodolci.org.